Metallica founding member and drummer Lars Ulrich has addressed one of the oldest folklores in the metal world, that at one stage his bandmates tried to fire him. As Lars tells Metal Forces, the whole story may have been blown out of proportion and he was blissfully unaware. Speaking of the potential plan to oust him at the end of their 1986 European tour, Ulrich explains, “It’s certainly not something that I was ever aware of,” whether that was by design, or perhaps the very reason they wanted him out in the first place. Ulrich was realistic about the delicate dynamic between within a band, particularly one at the dizzying height of Metallica in the mid-80s. Ulrich recalls a time when both his guitarist Kirk Hammett and frontman James Hetfield each began “kinda floating out there” during various stages of the band’s 35-year career. Despite building up a rep of a bit of a heavy metal brat, Ulrich is really chill about the whole thing. The story began taking form when Anthrax member Scott Ian revealed the plan to fire Ulrich in his 2014 memoir I’m The Man: The Story Of That Guy From Anthrax. 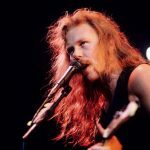 Dave Mustaine also brought it up in an interview with Rolling Stone, then Hammett divulged further during a subsequent radio interview. Since the drama begun, Ian has even come out and said he doubts they were ever going to follow through with the threats. “I honestly think that the tour would have finished and I think cooler heads would have prevailed, maybe, and I don’t think the change would have taken place. That’s what I believe,” he told a Colorado radio station. But we finally have him in our sights and we’re not gonna let him off that easy. Despite every other band seeming to part ways with their drummer lately, Metallica won’t be and Lars will feature on their forthcoming and 10th studio album expected out this year. 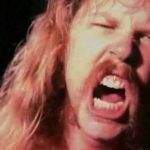 Until then, enjoy a bit of a sneak peak at some of the fat riffs on said new album, shared with us recently by Ulrich and James Hetfield. 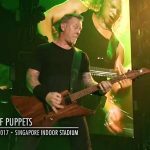 The post Metallica’s Lars Ulrich Blissfully Unaware Of Bandmates’ Plan To Fire Him In The ’80s, DGAF Now appeared first on Music Feeds.